Latex coating provides good protection against cuts and punctures. Poly/cotton/acrylic lining for added warmth and comfort. Non-slip palm. Open, uncoated knit back allows air to circulate for comfort. 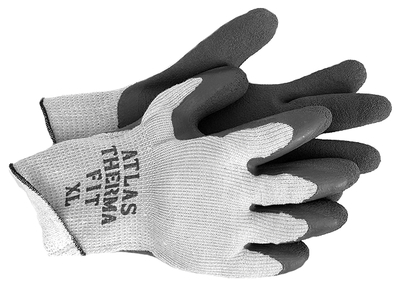 X-Large gloves with lining.